The finding indicates that large-scale changes are happening along the coast—because the source of the radium is the land and shallow continental shelves surrounding the ocean. 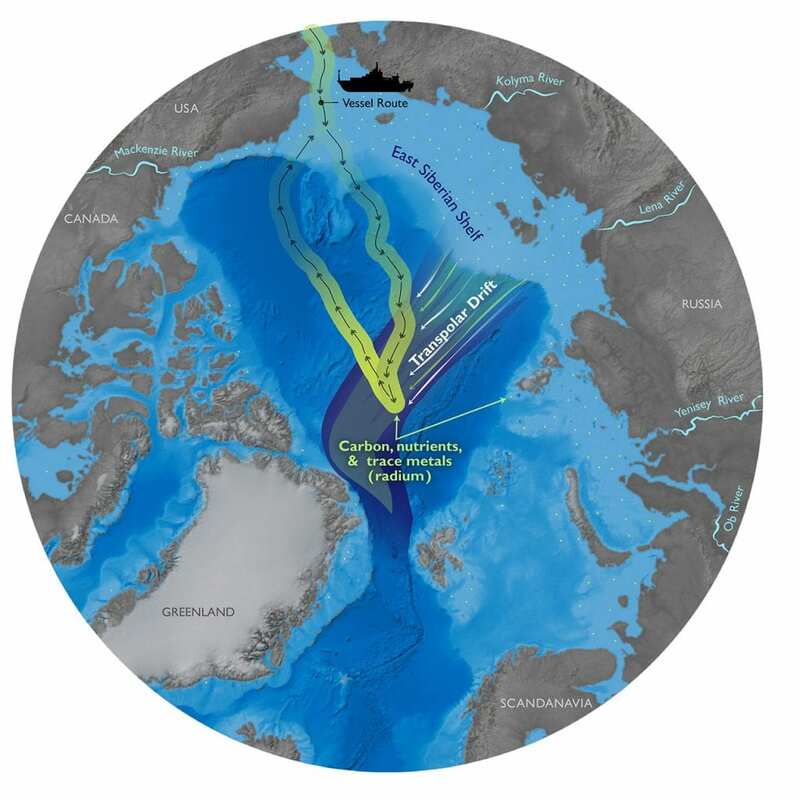 These coastal changes, in turn, could also be delivering more nutrients, carbon, and other chemicals into the Arctic Ocean and lead to dramatic impacts on Arctic food webs and animal populations. 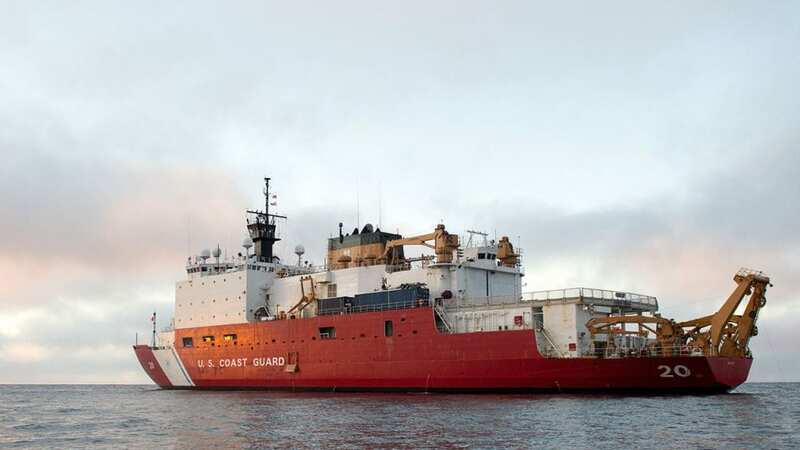 Kipp led efforts to measure radium at 69 locations from the western edge of the Arctic Ocean to the Pole on a two-month voyage aboard the icebreaker Healy in the summer of 2015. 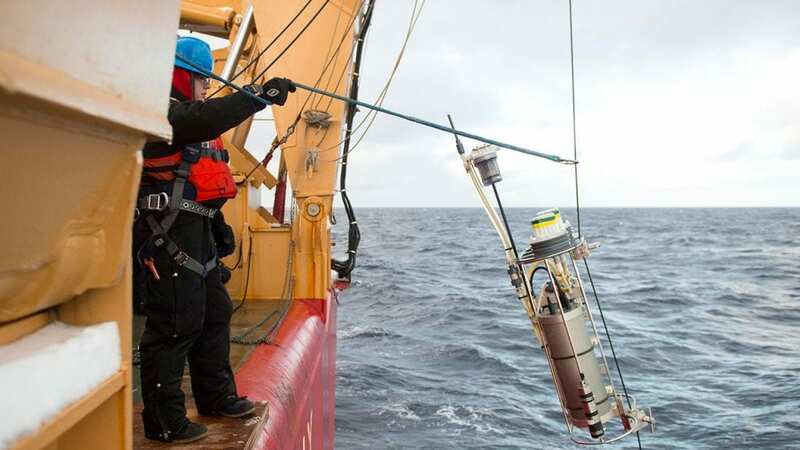 The cruise was part of the international GEOTRACES program, which aims to measure chemical tracers in the world’s ocean to understand ocean circulation and provide a baseline to assess future chemical changes in the oceans. The U.S. GEOTRACES program and this study are both funded by the National Science Foundation. The team investigated the trajectories of sea ice drifting in the ocean and saw a pattern of ice—and hence water—flowing northward from the vast northern coast of Russia toward the middle of the Arctic Ocean, where the radium concentrations had increased. The pattern aligned with the Transpolar Drift, a powerful current flowing in same direction that could transport radium from coastal sources. “Continued monitoring of shelf inputs to Arctic surface waters is therefore vital to understand how the changing climate will affect the chemistry, biology, and economic resources of the Arctic Ocean,” the study’s authors wrote.